"It is a gold bubble and to say otherwise it’d be nave," Gartman said. He called the trade on the precious metal: "mind boggling and unbelievably crowded," but also said he is currently long — or betting gold will go higher. To be fair to Gartman he is a short-term trader who has been both long and short gold at various times in the last ten years. I am not original in the following observation (I think it was Bill Fleckenstein but I can’t remember for sure) but it is worth saying again. Gartman aside, many of the financial media have a pronounced anti-gold bias. Of the writers and news anchors now calling gold a bubble, not only did they fail to identify the stock market bubble in the 90s or the subsequent housing market boom as a bubble, they actively promoted the excesses of those unsustainable booms, encouraging their viewers or readers to participate. 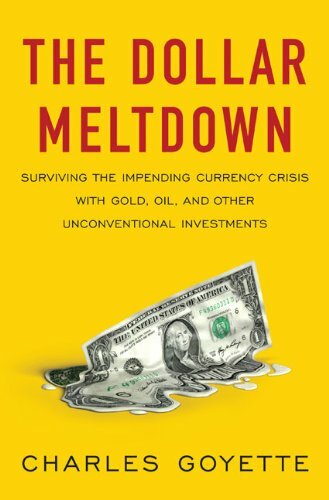 For the most part, these pundits have failed to identify a rising gold price as an investment trend at any point in the past ten years (during which gold had a positive return each and every year); and most have never recommended any form of gold as an investment to their viewers — who probably don’t own any gold either. Few if any of the financial commentariat are presently warning investors of the government bond bubble. Yet if there is any financial event more certain than the eventual default of most government debt in the developed world, I cannot identify it. Witness the irony of the financial media transformed from hypesters who never saw a bubble they couldn’t promote into bubble vigilantes, issuing concerned warnings to "get out, now, before you get hurt." But so far all I have done is to make ad hominem attacks on media figures. In spite of their past failures, they could be right. Let’s have a look at the data and try to figure out whether gold is or is not in a bubble. A bubble is a deviation between price and fair value of an asset. Because fair value is to some extent a matter of opinion, identifying a bubble involves opinion as well. There are various widely accepted methods for valuing assets, but these methods use inputs that involve judgment and opinion. Stocks can be valued on the underlying earnings or the balance sheet of the issuing corporation. Housing can be valued on the basis of rental income. While these numbers are also open to interpretation, a firm call of a bubble can be made when values are in an uptrend and reach multiples of historic valuations. But estimating the fair value of gold is at best, less straightforward, and at worst, impossible. Other assets are valued on the income stream that they produce, or by breaking them down into pieces that have independent market prices. Gold cannot be analyzed the same way as other assets because it can’t be broken down into anything more fundamental than itself. Its current price is its only indication of what it might be worth. Its price can change from day to day. This makes it difficult to determine what is a low or a high price. Various models have been proposed to calculate the fair value of gold, but they all run into assumption-making at some point. Paul van Eeden has published some articles (1 2) in which he proposes that the fair value of gold can be calculated on the basis of purchasing power parity of an ounce of gold, relative to the end of the gold standard (when gold was last official money). He projects the current gold price based on the growth in the supply of mined gold over this time, compared to the growth in the supply of fiat money over the same period. I do find value in van Eeden’s work, mainly for emphasizing that gold is a global asset, one that is in demand in terms of all fiat monies. Gold has one price in each currency. The dollar price of gold is not the price of gold, only a price of gold. The dollar price of gold reflects the foreign exchange value of the dollar against other fiat monies as well as the global valuation of gold itself. Van Eeden shows, for example, that gold was not in a global bear market throughout the entire period from 1980—1995. On the contrary, much of the decline in the dollar price of gold was a rise in the exchange rate of the dollar over this time. Gold’s price over this period in other fiat currencies was not uniformly down (a fact frequently cited to "prove" that gold is not an inflation hedge). The gold price went up in some currencies and trended sideways in others, depending on their foreign exchange rate. However, I am not convinced that gold should trade at van Eeden’s theoretical price. The exchange rate between fiat money A and fiat money B tends toward purchasing power parity because participants buy and sell goods and currencies to arbitrage away differences. This arbitrage process assumes that goods are sold in the market in terms of both A and B. But there is no good reason to expect that the price of gold should reflect purchasing power parity when it is no longer used as currency because goods are not sold on the market for gold. It is purely a financial asset at this point. Van Eeden’s model might be approximately true because gold functions as a sort of shadow money but that’s not exactly the same as actual money. Van Eeden also ignores the likelihood that the purchasing power of gold would have grown since the end of the official gold standard, since the growth rate of the goods and services in the world economy has exceeded the growth rate of the gold supply. Another problem with van Eeden’s model is that, while under the gold standard, currencies were redeemable for a fixed amount of gold. In that regime, any measurement of money supply should count either currencies or gold. Counting currencies and gold would be double counting. His model compares gold against currency, which would be correct if we went back on a convertible gold standard, but right now, gold trades along side currencies, so it should be counted as an addition to total money. Professor Mike Rozeff has written several articles for LewRockwell.com showing calculations of what the gold price could be using different models. As Rozeff points out, "Numbers such as [those presented in certain models] surely give the impression that gold can go higher, but we knew that already. Any asset can go higher. These numbers give the illusion of certainty and necessity, or in other words they suggest that gold will go higher. But the model has no reasoning in it to say why this has to happen, if it has to happen at all." I agree with Rozeff’s point here: if you assume that a particular model is correct, it can be used to generate a theoretical price. But the models all depend on an assumption that gold should behave as it is modeled. How expensive does an asset need to be to be called a bubble? During the stock market bubble, equities traded at three to four times historic valuations, with the NASDAQ index trading at something like six times or more times a realistic valuation (notwithstanding the large number of NASDAQ companies whose value proved to be zero). During the housing bubble, home prices averaged over the entire country were about twice historic valuations, but the major bubble cities saw homes reach three or more times historic valuations. If you think that gold is in a bubble, is it trading at two times fair value? Three times? Five or six times? That would imply a fair value of anywhere from $550 to $200. During most of the last ten calendar years, gold has experienced a decline of 20% at least once during the year and then resumed its upward climb. Would a fall in gold from the recent $1100 to a low of $900 validate the bubble hypothesis? Or would it only be a medium-term correction in an ongoing bullish trend? Can an analysis of trends and cycles tell us whether gold is in a bubble? 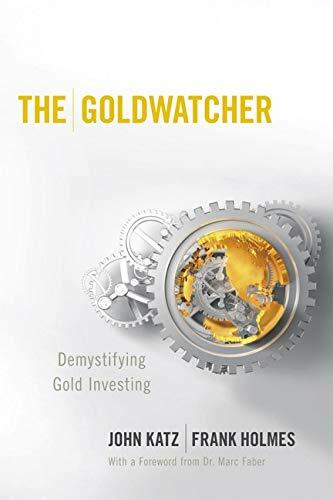 I recall a speaker at an investment conference in the mid-00s stating that gold’s bull run was over because “the average gold bull market lasts for four years." But where did this average come from? Prior to 1971, the "price" of gold was a fixed convertibility ratio between fiat money; or at worst, an administered price. Gold has only had a market price in fiat money terms since the day when Nixon closed the gold window. How many gold bull markets have we seen that time? At most: two. Can we average together all two points of data and get a meaningful statistic? Relying on historical valuations is useful for stocks and houses since we have a century more of data for both of those asset classes. But for gold, the world has only been on a pure fiat money standard for 40 years. How many complete bull and bear cycles have we seen during that time? Nassim Taleb, in his book Fooled by Randomness, emphasizes that, when you are collecting data about some observable phenomenon, it is difficult to know when you have seen enough data to encompass the full variability of the phenomenon. In other words, if you have 100 years of data about floods in a river bed, your data set might not include any occurrences of the once-every-200-years flood, or the 500-year flood. It seems implausible to me that in the last 40 years we have seen the full range of variability in the relationship between gold and fiat money. I suspect we have not experienced multiple bull/bear cycles in gold; it is more likely we have not even seen one complete cycle yet. In our 40 years since Nixon closed the gold window, we have not seen the 100-year flood. It is more likely that we are now reaching the end of the first full market cycle of gold in a pure fiat world. This is now the 100-year flood. The current cycle will end with a world-wide currency crisis and a wipeout in the value of most government debt. If I am correct, then the next phase of monetary history would almost certainly involve an informal or formal recognition of gold as a monetary reserve asset by central banks. Gold would then be revalued at a much higher level of purchasing power relative to recent history.